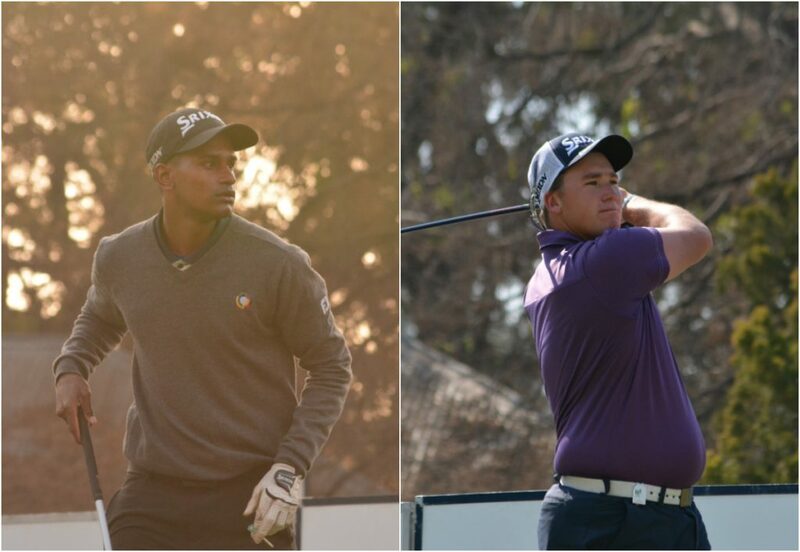 PRETORIA, 13 August 2018 – KwaZulu-Natal amateur Aneurin Gounden and Mpumalanga golfer Peetie van der Merwe fired a pair of five-under-par 67s on Monday to share of the first round lead at the IGT Challenge Tour #10 at Irene Country Club. The leading duo finish two shots clear of the chasing pack. Gounden from Ernie Els and Fancourt Foundation had a pair of birdies before the turn and followed a further gain at the par three 13th with a run of three consecutive birdies from the 15th hole. Van der Merwe had a more colourful card. The Centurion golfer was five under after an eagle at the par five second and a trio of birdies at five, nine and 10. He gave three shots back to the field at 14 and 16, but cancelled the deficit with a second eagle at 17 and a birdie finish. Closest in chase were Clinton Grobler, Thabiso Ngcobo and last year’s IGT Challenge Tour Order of Merit winner Ruan Conradie, who carded rounds of 69. Kyle Barker, Hendrikus Stoop and Marco de Beer – already winners this season – were among seven players a shot further back. Gounden, who is studying greenkeeping at the African Turf Academy at Silver Lakes Country Club, was thrilled to make the most of his start at Irene. “Every week, African Turf Academy sponsors the winner of our Wednesday Stroke Play Tournament to play the IGT Challenge Tour the following week,” he explained. “This is my fifth start this year. The 20-year-old from Durban made a birdie start, but bogeys at three and five left him steaming. “I missed a five-footer for par at the third and three-putted at five and I was really angry with myself,” said the reigning Glendower club champion. “I holed a 12-footer for par at seven and really thought about my strategy for the eighth hole. I went with a 5-iron down the left and I hit a great wedge shot to six foot. I made the birdie putt and followed with a two-putt birdie at nine to go one-under. Van der Merwe was happy to bounce back after a double bogey at 14 and bogey at 16. “I hit a great tee shot, but my approach just made it on to the green,” said the 24-year-old Middelburg native. “I left the first putt on the slope and three-putt from there. “It was a lapse of concentration, but that woke me up. Unfortunately, I took the wrong club at 16 and overshot the green, leaving myself with a really tough up-and-down for bogey. I was a little angry with myself and I bombed a drive down the 17th fairway. I hit my second pin high left and holed a 10-footer for eagle. Written and released by Lali Stander on behalf of the IGT Challenge Tour. Copyright © IGT Golf 2019. All Rights Reserved.